The etheric layer of our auras is very special in the context of healing - whether physical, mental or emotional. In fact, it any true healing stems from initial etheric healing. The etheric layer serves essentially as a template for our physical bodies. It is this etheric template that enables our bodies to appear and behave in the same consistent manner, despite its constant regeneration and replacement of cells. This is important to your healing since you can learn to communicate with this etheric template in profound ways,...ways that will catalyze true holistic healing and integrated balance throughout your entire being. You can actively work with your etheric template to restore wholeness to your body by consciously communicating with and visualizing it, as well as by working with the chakra system. "The etheric body is a holographic energy template that guides the growth and development of the physical body (Talbot, 1991, p. 188). Each body functions as a template for the one before it, eg. astral for ethereal. Since the mental body is the highest, healing a person at the mental level is stronger and produces more lasting results than healing from either the astral or etheric levels." Work with your own template of perfection. Full realization of it leads to robust physical health, anti-aging, a heart full of love and a fully realized soul. The etheric body is essentially a web of definite energetic lines that extend from a half inch to two inches beyond the confines of the physical body. It is rather mesh like in its quality and serves as the model or template for the body's form, vitality and vigor. It pulsates at a rate of about 20 pulses per minute, and consists of whitish-blue light. A healthy etheric body sparkles with pulsating light that can be seen with clairvoyant vision. The cells of the body grow along the lines of the etheric mesh. The healthier and more in tune we are to our etheric layer, the more robust and dynamic our physical bodies will be. When we practice healing modalities such as reiki, therapeutic touch, healing touch, and distance healing, we are working with the etheric body to heal the entire self. You can understand and tap your template through meditation, prayer, deep breathing, healing techniques, and time with nature. Your physical presence is continually receiving impressions from your template but these are edited by your conscious mind through your beliefs and assumptions. To heal you must match your body image with your perfect template. When you ask for healing, your soul retrieves healing data from your perfect, whole template. "This template is the personalization of the perfection of the Universe in your physical life." (Meredith Lady Young, Language of the Soul, 1987, p. 53). It is not that difficult to communicate with your etheric body or field - since you do so via thought and visualization. Your etheric body does not feel pain or discomfort, nor does it feel the blockages you have set up in your muscles, organs, and fascia. So, in order to harness the power of the etheric, you need to communicate with this part of you in a conscious way. Visualize what you want to accomplish: you want the burning pain in your overstrained muscles to stop, your muscles are to be supple, strong, and flexible. You want the arthritic spurs that have manifested in your joints to be replaced with well lubricated and strong resilient joints, and so on. Visualization and Imagery are very handy tools for this purpose. 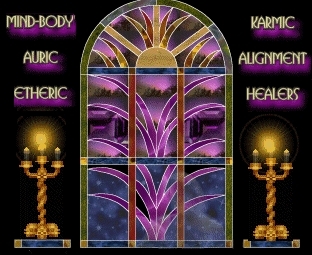 You can also direct your etheric body to connect with the much higher layer called the Ketheric, which houses your perfect energetic template - this template manifests as you at your most perfect. Flawless, powerful, whole.